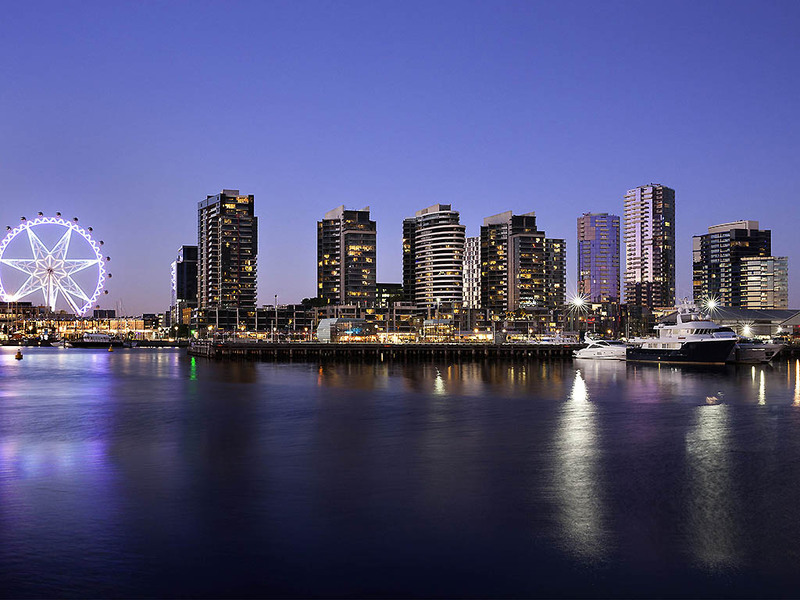 The Sebel Melbourne Docklands' inner city, harbourside location is within close proximity to the Docklands, City Centre and other cultural and sporting attractions. The hotel comes complete with a gym, pool, spa, sauna, tennis court, rooftop garden, guest lounge, cinema, private dining and meeting rooms. With a lively atmosphere and spectacular views, NewQuay Docklands is one of Melbourne's most vibrant and dynamic inner-city waterfront precincts. It is home to an eclectic mix of restaurants, cafes, bars, shops, a picturesque boardwalk and marina. Offering business and holiday guests the freedom of space in superb fully self-contained apartments, most with private balconies. Seamlessly fusing harbourside ambience with inner-city sophistication and the indulgences of a modern resort. All sophisticated apartments at the hotel come with a spacious lounge, fully equipped kitchen and dining area. They also feature well-appointed bathrooms, air conditioning, laundry, many with private balconies. All roooms are serviced daily. Pre-Dinner Beverage? Beverage specials from $6.0 with complimentary housemade bites. *Valid until 31st December 2018 on selected items. *Loyalty Member Discounts not applicable.